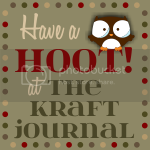 The Kraft Journal hosted by KraftOutlet.com: Make It Monday Challenge #189 - Tag You're It! Make It Monday Challenge #189 - Tag You're It! Good Monday Morning and Hi to all our faithful followers! This week we have a fun Challenge - Tag You're It! This is a wonderful chance to really stretch your creativity. With the holidays coming I know we could all use some inspiration! This week we have a really fun challenge for you all called "TAG, YOU'RE IT"! 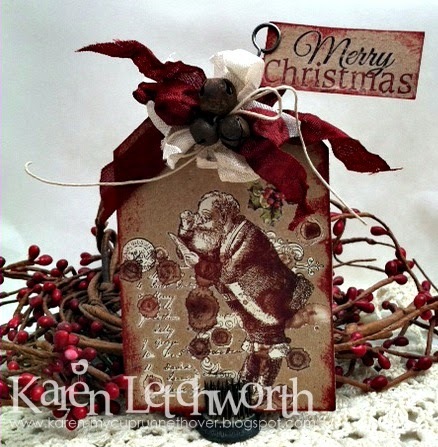 Design Team Member Karen grabbed a piece of Lunch Bag Cover Weight Card Stock, and used her Bone Folder Tool to adhere rub-ons (the Santa image and the Merry Christmas sentiment) to create her tag. She inked the edges of the Lunch Bag Cover Weight Card Stock, and added a big bow made from deep red and Vintage Winter White Hand-Stained Bias Tape. She added some rusty bells tied with a length of Natural Hemp Cord. The sentiment was attached using a Tim Holtz Memo Pin. To read a complete supply list and see more of this project, please stop by Karen's Blog, My Cup Runneth Over. 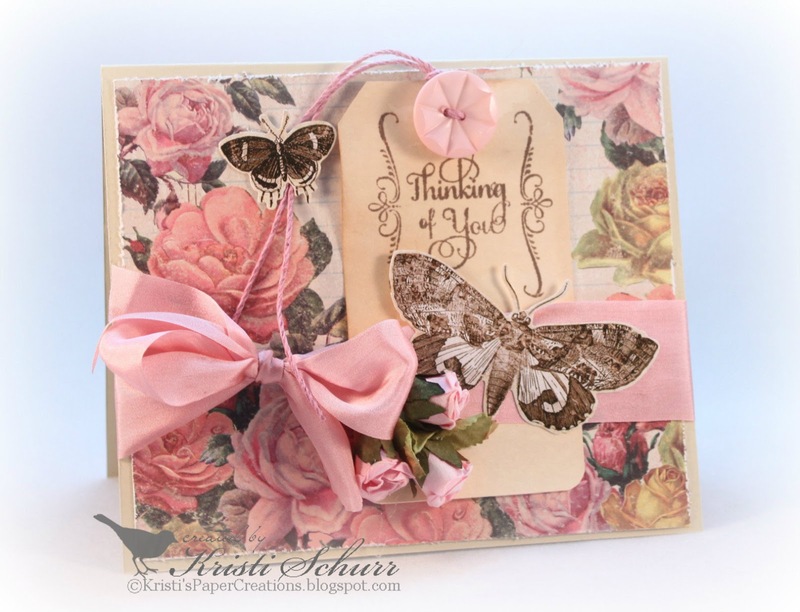 Kristi made a shabby chic card for this week's Tag You're It challenge. 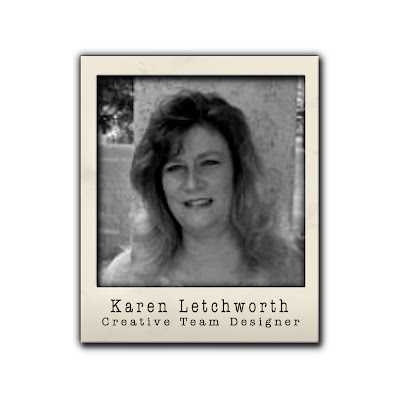 She began her card with a base made from Buff Ivory Cover Weight Card Stock. She layered a rose patterned paper panel cut slightly smaller than the base onto the center of the card. Kristi stamped the sentiment on a Grungy Stained Shipping Tag and adhered it to the front. She then tied a pink silk ribbon around the front of the card and tied it into a bow on the left side. Kristi used 2 butterflies from the French Industrial Salvage Sticker pack and placed them as shown in the picture. To finish, she threaded the tag with a button using some twine from the Pastel Hemp Cord Pack. For more information and a complete supply list, visit Kristi at Kristi's Paper Creations. 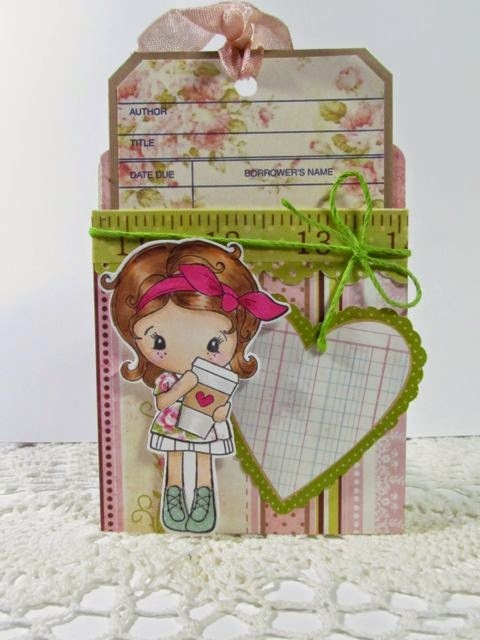 Anitra has created a tag along with a pocket for this week's challenge. 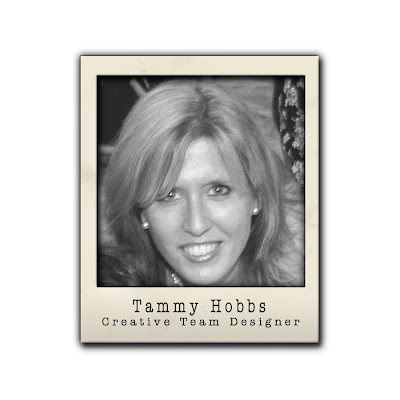 Using a White Library Card Anitra printed a pattern directly onto the card. 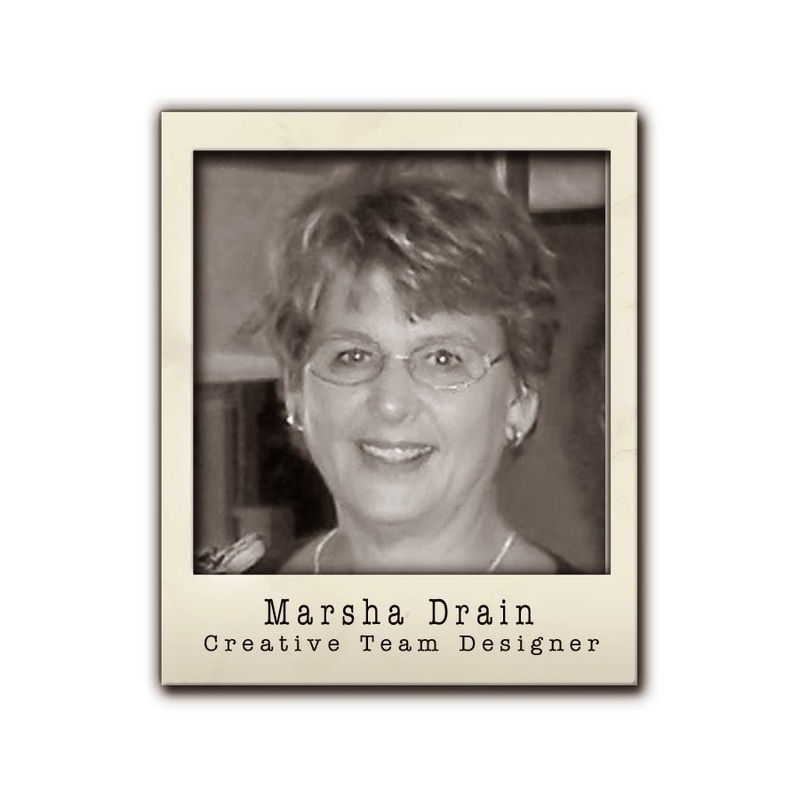 Next she matted the library card onto some Brown Kraft Cardstock. Using a tag corner punch she punched the corners creating a library card tag. She then punched a 1/4" circle punch to thread the Rose Beige seam binding. Next Anitra created a pocket using a Library Card Pocket. She covered it in her favorite patterned papers and added some Ruler Washi Tape. She then tied some Bright Hemp Cord around the pocket and added her stamped image. This would make a great way to give a gift card or small gift! For more information on Anitra's project please visit her blog Stamping While They Sleep. Join the fun and take the Challenge! Thank you for another challenge - Kudos to the DT for their creation - be blessed this week!